The first show from the UK will be presented by Joe Mckechnie. Saturday 18th September 11pm til 1am [UK Time]. On the show – A guest 30min mix from DJ M-Traxxx, be sure to check DJ M-Traxxx ‘Universal Dance’ release on Galaxy Recz, Japan. 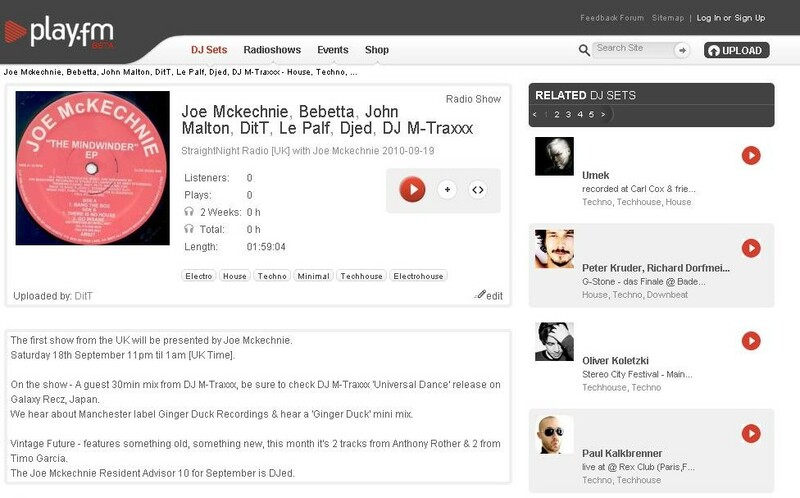 We hear about Manchester label Ginger Duck Recordings & hear a ‘Ginger Duck’ mini mix. Vintage Future – features something old, something new, this month it’s 2 tracks from Anthony Rother & 2 from Timo Garcia. 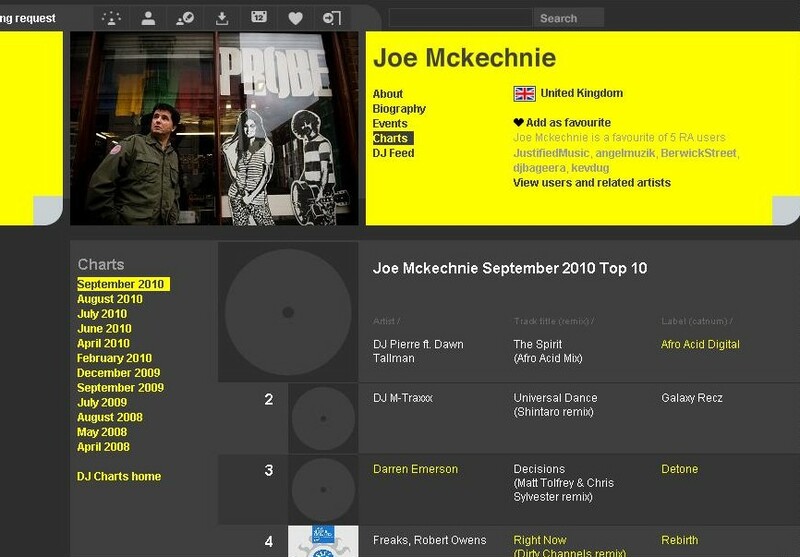 The Joe Mckechnie Resident Advisor 10 for September is DJed. 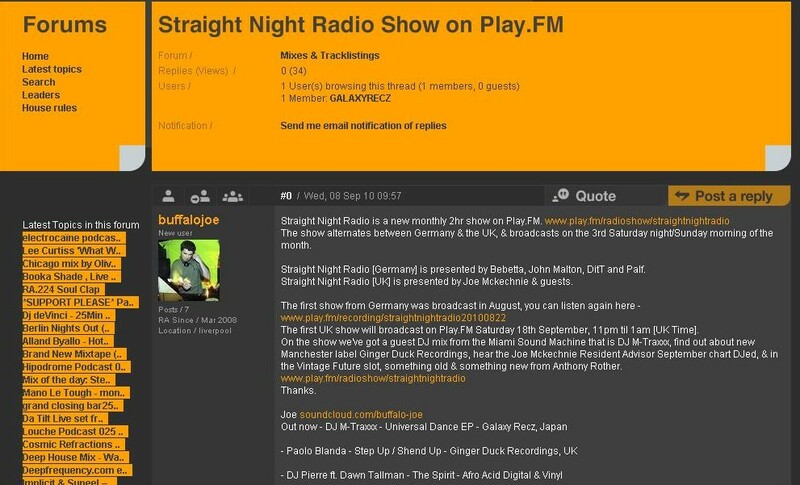 “Straight Night Radio is the new monthly Show presented to you by two Teams from two countries with various cast, guests and artists. The Main Staff from Germany is Bebetta, John Malton, DitT and Palf. From the United Kingdom the Show will be moderated by Joe Mckechnie. Both will present selected Artists and their upcoming Tracks as well as local News, Clubs, Places and more. The show will switch between the two broadcasting Teams every month. 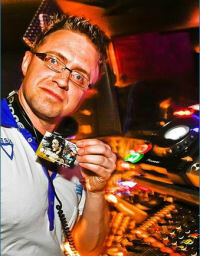 So enjoy two hours of selected Clubmusic and pure entertainment.